3 reasons why you must properly document cyberbullying. 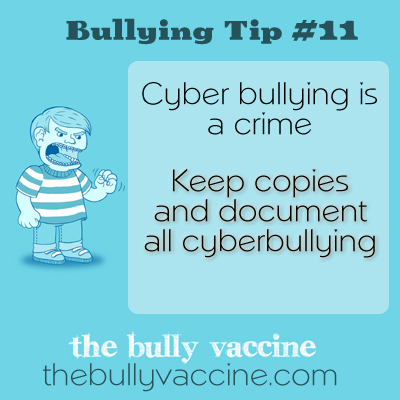 Keep copies and document all cyberbullying. In order to get other people to help you with your bullying problem, you need to document what is happening to you.